They called you to tune a piano for a concert at the last hour. The time available is ridiculously short, about half an hour, and to top it up is very noisy. What to do? This is one of the tricky situations a piano tuner might encounter, when tuning at a concert. Just imagine the situation; it’s terribly noisy as sound engineers and musicians are testing the sound. To make matters worst they ask you to hurry up as the concert will start in half an hour. 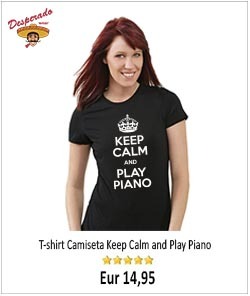 How can you properly tune the piano in those circumstances? You complain, but the answer is a typical “sorry, we understand you but you have to make do with what you’ve got”. You feel like swearing at them and walk away. Why haven’t they call me with time in advance? you rightly think. Reality check: in the real world this kind of situations are far from rare. Tuning a piano for a concert, ideally should be done in the morning or early afternoon, just before the sound engineers and musicians arrive, alone and in silence. Anyway, cool down and don’t panic, above all DON’T RUN AWAY. What to do then? As I say before, keep yourself cool. After all is not your fault they called you with such a short time notice. You are not responsible for the lack of foresight of the organizers. Well, as it is materially impossible to do a full standard piano tuning you will concentrate on the unisons, specially the middle ones, also the middle upper section if possible. Why to concentrate specifically on the middle and upper section unisons? Because this is the most played part of the piano and therefore bound to be out of tune. Also, a unison out of tune can be really very conspicuous. So if you manage to get them right, the piano, although not perfect will have improve quite a big deal. So, you will produce a makeshift piano tuning which I personally refer to as “cowboy emergency tuning” !! 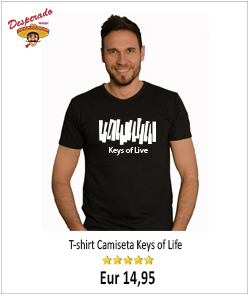 Play a chromatic scale up and down the keyboard and try to identify the keys that are out of tune, or at least the keys that are worst, then write them down on a piece of paper or make a little sign on the keys so you don’t forget. Make sure there isn’t any key in the bass or treble section wickedly out of tune. If there is one or two, tune them, if not, don’t waste time and move quickly to the middle section, more or less from A25 to C64. Tune those unisons the best you can. To finish the job, check again by doing another chromatic scale up and down the keyboard. The whole job wouldn’t take you more than 20 minutes (the time available). Maybe this procedure doesn’t look very orthodox, but the purpose is not to execute a work of art piano tuning, but to overcome a particularly exceptional situation, just trying to do the best with what you’ve got. They can ask you to do your best, but nobody can compel you to produce miracles !. I like your name for makeshift piano tuning. “Emergency cowboy tuning” just fits this kind of situation perfectly. I would never trust myself to tune a piano, but I have been around when someone has been trying to get the piano in tune right before it was going to be used. Honestly, I don’t envy them or you for those kind of jobs but am glad that you can do it. There is nothing particularly “special” about tuning a piano, neither is a “God’s given gift”, just a skill (like many others) that you learn and develop with practice and eventually get good at after some time. 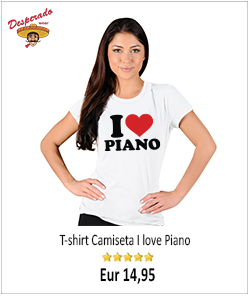 I check your site arinpianos.com, nice. That is a difficult job, moving the pianos, my admiration to all the guys who do that job! I have done that a couple of times and not more, thank you!